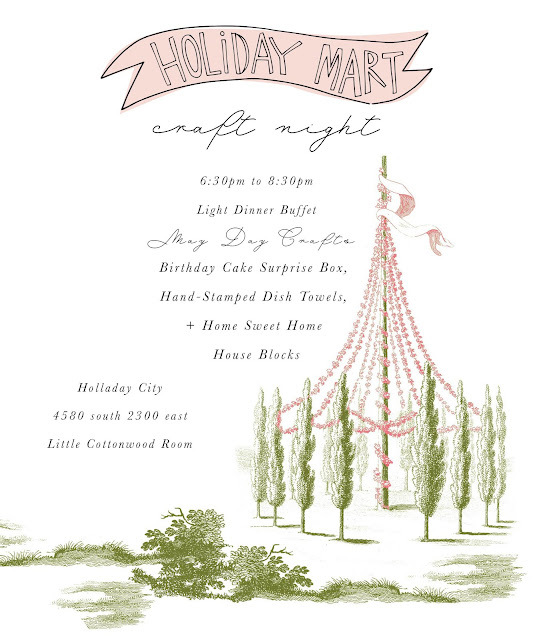 Craft Night Date, Time & Location: Thursday, April 28th at Holladay City Hall in the Little Cottonwood Room. Come and bring friends, Mom's and Daughters or just come by yourself and meet new friends. We will have fun give-aways and more goodies to take home!! We can't wait to spend the night with you! Link here to buy tickets and sign up for a fabulous night! !